Peter Skoglund has developed and enforced global intellectual property strategies for almost 25 years. Mr. Skoglund has worked as the Scandinavian coordinator for anti-infringement and anti-piracy work for several multinational right holders. Mr. Skoglund predominantly represents manufacturers of branded consumer goods, such as within fashion, sporting goods, confectionaries and beverages, and clients in the entertainment industry. Mr. Skoglund has represented the motion picture industry, including almost all of the major US studios and the Swedish MPA, for more than 20 years and also several of the major European television and radiobroadcasters. Only in the last year, Mr. Skoglund advised two major US studios on different acquisitions of film rights in household Swedish literary properties. Mr. Skoglund has in-depth knowledge from the film distribution industry having served for more than 15 years as a non-executive director of a film distribution affiliate of one of the US majors. Peter Skoglund has frequently represented Swedish and international clients in various competition law matters, including cartel investigations and cases involving alleged abuse of dominant position. For several years, Mr. Skoglund was a member of a pan-European “think-tank” group on competition law issues put together by a multinational corporation. Mr. Skoglund has been a moderator and a speaker at various conferences and seminars, mainly on competition law issues related to various distribution formats and on free movement issues. Mr. Skoglund predominantly represents manufacturers of branded consumer goods and clients in the entertainment industry and in the petroleum industry. Mr. Skoglund represented one of the defendants, a petroleum company, in the first major cartel case tried by the Swedish courts. 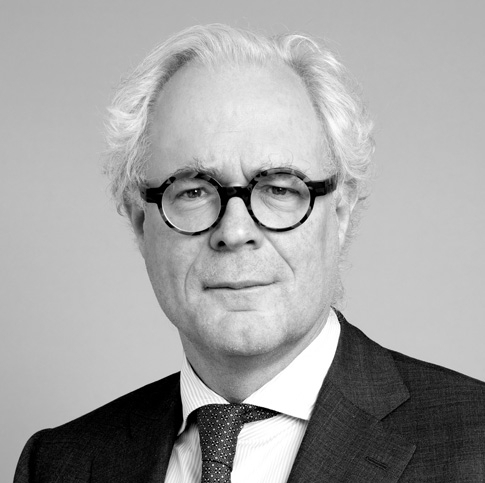 Peter Skoglund has almost 30 years experience from commercial dispute resolution, both litigation and arbitration and he has served both as counsel and as an arbitrator. Mr. Skoglund predominantly represents banks and finance companies and manufacturers of branded consumer goods. Mr. Skoglund has tried six cases before the Swedish Supreme Court, five of which dealt with Swedish property law and one with copyright law issues. Peter Skoglund has extensive experience from and vast expertise with respect to a variety of distribution formats, such as agency, selective distribution and franchising. Mr. Skoglund’s experience and expertise cover both contentious and non-contentious matters. Mr. Skoglund predominantly represents manufacturers of branded consumer goods and clients in the entertainment industry and in the wood pulp and petroleum industries. Mr. Skoglund has participated in various policy or practice groups mainly on pan-European distribution issues. Peter Skoglund has published various articles on intellectual property, litigation and arbitration issues. Mr. Skoglund has been the national reporter for several intellectual property publications. Mr. Skoglund has co-authored ’Handbuch der Markenpiraterie in Europa’ and he has authored an essay on intellectual property rights and border measures in a book published by the Swedish Ministry for Foreign Affairs.